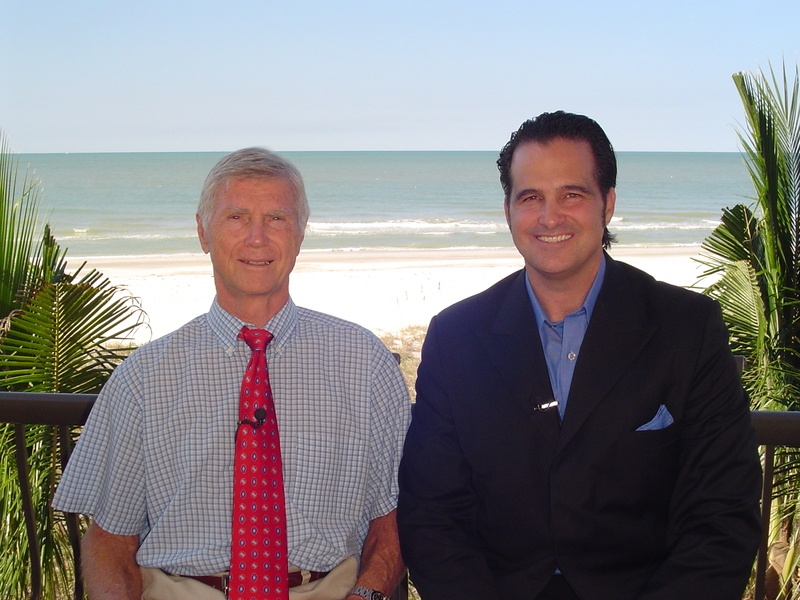 KC Craichy talks with Dr. Leonard Smith about the importance of Vitamin D for SuperHealth. KC: Welcome to Living Fuel TV. 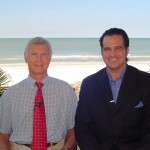 I’m KC Craichy with my special guest, Dr. Leonard Smith. Welcome, Leonard. Dr. Smith: Thank you, KC. It’s a pleasure to be here. KC: Leonard is one of my dear friends and one of the most brilliant doctors that I’ve ever met, and what an incredible mind you have. My wife always says that, and I think I said this in another segment, that you need a pad and paper whenever Leonard’s around, because the ideas flow and concepts and so on. This is a special series we’re doing with Dr. Smith. Normally, we try to answer all your health questions. Now, I’m trying to get a lot of my health questions answered by Dr. Smith, and bringing in the pieces that I know, to hopefully answer questions you haven’t even asked yet. Today, let’s go with Vitamin D because there’s some fascinating things about Vitamin D. It’s all on the news now. We’ve been talking about vitamin D for years now, Leonard, and it’s like the Vitamin C of the 1900s. Dr. Smith: Even more. And as a matter of fact, I think if President Obama really wanted to have a healthcare plan, that’s the first thing he would do honestly, is insist that everybody have their Vitamin D. When you do the vitamin D level, you know you check the 25 OH vitamin D.
KC: Twenty-five what? Leonard: OH stands for hydroxy, it’s just a chemical term. You’ve got vitamin D, and there’s an oxygen and a hydrogen attached on it, and so that’s why it’s called 25 OH vitamin D. KC: So, check your 25 OH Vitamin D.
Dr. Smith: And if it’s under 30 nanograms per milliliter, even all conventional doctors would say you’re insufficient. If it’s under 20, it’s dangerously insufficient. I’ve seen patients as low as one and two, and five, and things like that. KC: Vitamin D levels are changing the way we think about disease, even. Vitamin D insufficiency, I saw one study that said 65% of all people are Vitamin D insufficient, or deficient. That was using 30 nanograms per deciliter as the marker, and now we know that’s double. So if you take a 60 nanogram per deciliter marker, or even higher, what’s the rate of people who are deficient? 90? Dr. Smith: It’s probably gone from a billion to two billion or three billion of the planet earth. Really, that’s how significant it is. This isn’t just conjecture, this is several scientists. One of the best ones, I’d say, is Michael Holick, who’s an MD PhD at Harvard, submitting materials that are published in the New England Journal of Medicine, so this is definitely mainstream medicine. I’d also, at least, like to point out for people who want to know more about it, they can go to vitamindcouncil.org. That’s John Cannell, who lives in California. KC: Now, Dr. Cannell had some fascinating research. When he had the one floor of patients all on Vitamin D, testing them for some other reason, and then they had the epidemic come through the entire hospital, and lo and behold, nobody on his floor got the flu. Dr. Smith: Well, it’s actually different than that, but I definitely read that one. I think it was either in Minnesota or Wisconsin, but it was a center for handicapped people that were not capable of living on their own. You can imagine what other potential problems they had, but because they were patients in the center, they were all given Vitamin D. the staff that took care of them weren’t taking Vitamin D. The only ones to get the flu were the staff taking care of them, not the patients. Dr. Smith: There are other doctors out there that have absolutely… One family practice doctor in Atlanta, I saw her talk at a meeting recently. She checks all of her patients’ Vitamin D levels and gets them up to a good, healthy, normal level, around, at least, 50 nanograms per milliliter. The fellow that shares his office with her has a different set of patients. What a great study. Hers weren’t getting the flu. She’s not seen H1N1 yet, and the other doctor’s seen both. KC: Wouldn’t it be very interesting to see all the ones that have been tested for H1N1, and we know that that number is extremely low compared to the ones that they thought had H1N1. Wouldn’t it be interesting to know the Vitamin D levels of the ones that had H1N1? Dr. Smith: I would just about bet on it. KC: It’s interesting that in the cold weather, the cold part of the year, it’s cold and flu season. That would be our first clue. Dr. Smith: The sun isn’t around either. KC: The sun isn’t around. It gets darker earlier when you are farther away from the equator, the more you’re not going to get any conversion. Plus, people aren’t out in the sun anyway. When they do go out in the sun, they put on sunscreen, which blocks the conversion. There are all kinds of reason people’s D levels are down. It’s almost malpractice not to put D in the process, to look at the levels, don’t you think? Dr. Smith: Yeah, I don’t want to get political about it, but I agree with that. At this point, there’s enough information out there. There’s no excuse for any doctor not checking their patients’ 25 OH Vitamin D level. There will still be ongoing arguments about whether it should be 50, 80, some even say up to 100, but think about this one. The number of mothers that have had autistic kids had low Vitamin D levels their entire pregnancy. The child doesn’t have a chance, and we know, in the first trimester of pregnancy, during brain development, Vitamin D is very critical. If you think about it, throughout the entire gestation, Vitamin D is critical in terms of… If you think about it, Vitamin D is responsible for a thousand genes to function, with regard to immunity and inflammation, which has to do with everything from infections to cancer, to heart disease and strokes, to Crohn’s disease and ulcerative colitis, to all of the auto- immune diseases, to skin diseases. There is nothing they have looked at that they haven’t found that it could be useful to normalize Vitamin D.
KC: Well, I want to get into something that probably no one listening or watching today has heard. You’re the one that told me this, about the function of Vitamin D on the anti-inflammation level. You said there was an anti-inflammatory nutrient. Leonard: Again, as I just said, out of those thousand genes, a lot of them have to do with inflammation. If you’ve got the right Vitamin D, that will work. Here’s another one that most people don’t know, but in terms of your body energy, that’s back to the thyroid. Very simply, you make thyroid hormones that get in the blood and they go throughout the body. One of them is called T4. All that is is a tyrosine molecule with four iodines on it. That’s what it looks like. It swims through the blood. The thyroid also makes T3, so you’ve got two iodines on one side and one on the other. It’s really simple. They both get inside the cell. T4 has got to be de- iodinated, you take an iodine off to convert to T3. T3 then swims to the nucleus and actually affects genetic transcription to make mitochondrial proteins to make more mitochondria. What’s mitochondria? They’re the little engines that are in the cytoplasm of the cell that make our energy. Without them, you’re dead. When they get sick and tired, you get sick and tired. People aren’t sick and tired, their mitochondria are sick and tired. Are you ready for this one? They’ve actually shown that if you don’t have a Vitamin D level that’s at least 40, the T3 won’t even go into the nucleus to help do what the thyroid hormones do, which is up regulate energy production by basically, creating messages for the cell to make more mitochondria or repair damage or whatever. KC: Didn’t you say there was some reason it turns to RT3 and not T3 in this process, or is that a different process? Dr. Smith: No, that, too. We’re back, but that’s a different issue, but if you’ve got T4 here and you’ve got T3 here, you need an enzyme called 5- prime deiodinase. It’s just a big name, but deiodinase means you’ve got four iodines on the tyrosine, and it’s just going to pull one off. It pulls one off, now over here you’ve got T3. T3 is the active thyroid hormone. T4 is really like FedEx, just carrying it over there to take the iodine off. Why God did that, I don’t know. I’m sure we’ll find some use for T4. That’s the most exciting part of this. Everyday, I open the computer, and I’ve all these news and journal things I go to. Every day, something’s changing. KC: This is fascinating. We are going to go into more of that in another segment, but that is fascinating. Thank you, Leonard. We just wish you super health. Hope you enjoyed it.